Contain the active ingredient : Allopurinol, which is a type of medicine called a xanthine-oxidase inhibitor. 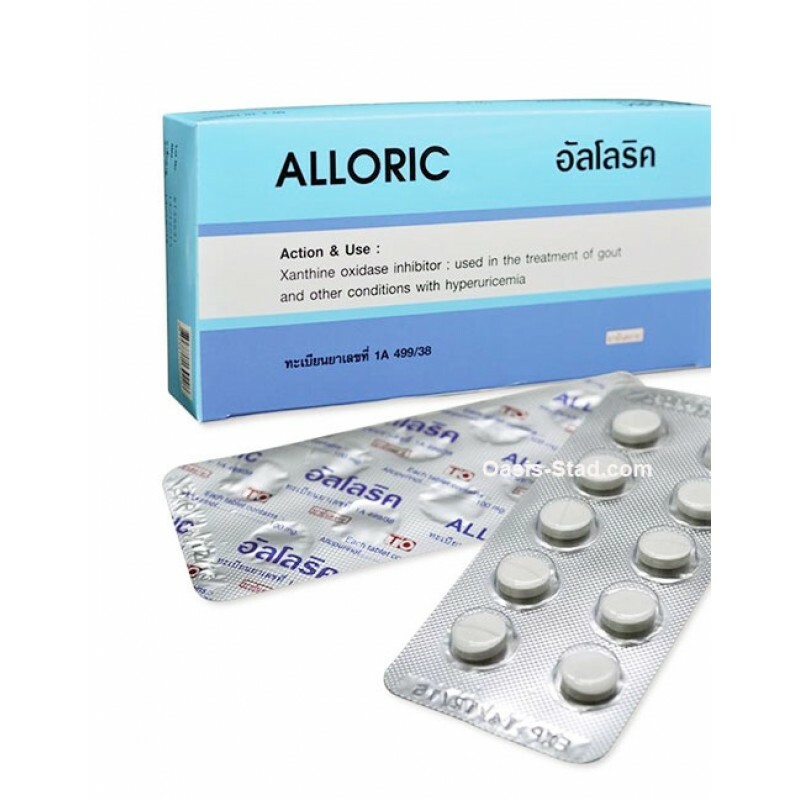 Allopurinol is used to lower levels of uric acid in the body. Uric acid is produced by an enzyme in the body called xanthine oxidase. Allopurinol inhibits the action of this enzyme and as a result lowers uric acid levels. The main use of allopurinol is in preventing attacks of gout, which occur as a result of a build-up of uric acid crystals in the joints. It is these cystals that cause the characteristic pain and inflammation of gout. By lowering the production of uric acid, flare-ups of gout can be prevented. Allopurinol is used for the long term prevention of gout and not for immediate treatment of gout flare-ups. Other medicines are used for the rapid relief of gout symptoms. Certain types of cancer and treatments for cancer can raise uric acid levels. As this could potentially cause kidney problems, allopurinol is also sometimes used to prevent this. The long-term management of gout, to control uric acid levels and prevent gout attacks. Preventing certain types of kidney stones, caused by a build-up of uric acid. Treating certain enzyme disorders that result in overproduction of uric acid, for example Lesch-Nyhan syndrome. Reducing the formation of uric acid when a build-up is predictable, for example when treating certain types of cancer.